I know not everyone is sad that the snow is almost all gone, but for those who know me, you know that I love to ski or snowboard with my family. Besides having a fun family winter activity that we can all do together, it absolutely helps to get through those winter blahs. 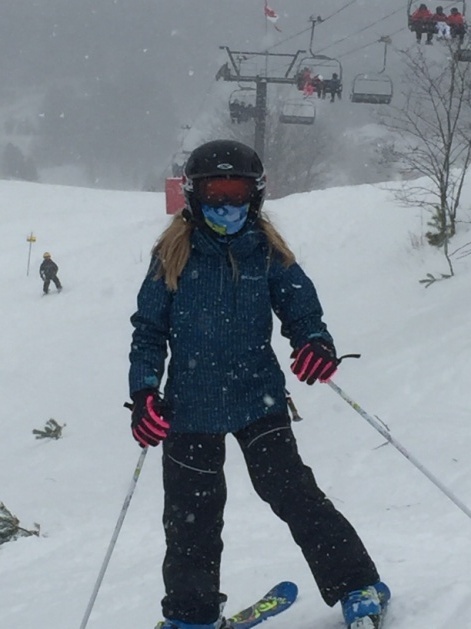 This year our ski season started off a bit differently, as my daughter Teagan, had a very significant injury when she collided with a tree. Looking back at the events , I’m forever grateful for how all things turned out, considering what could have happened. It was only after a few days, when we realized the actual extent of her injuries. I was of course monitoring her daily, but she was still having major difficulties with breathing and catching her breath. She had hit the tree with her chest, shifting her ribs and spine out of alignment causing a pinched nerve to her ribs and diaphragm. This was causing her breathing troubles. Her first few adjustments were not easy or comfortable, for she dreaded them. She needed me. I continued to adjust her and she was my brave little girl for she is one tough kid! Gradually, with each adjustment, the pressure on her pinched nerves were reduced and she was able to start breathing better. She was finally starting to feel normal again. Even I was amazed with the change in her breathing and I am the Chiropractor! Now when I see her ski, I’m a little bit more nervous, but I’m also reminded about how lucky we were, for God was definitely on our side that day! I’m also so grateful that I was able to treat her and make her feel comfortable, not only as her Dad, but as her Chiropractor. Thank God your daughter survived this terrible ski accident. Wishing her much health and happiness!